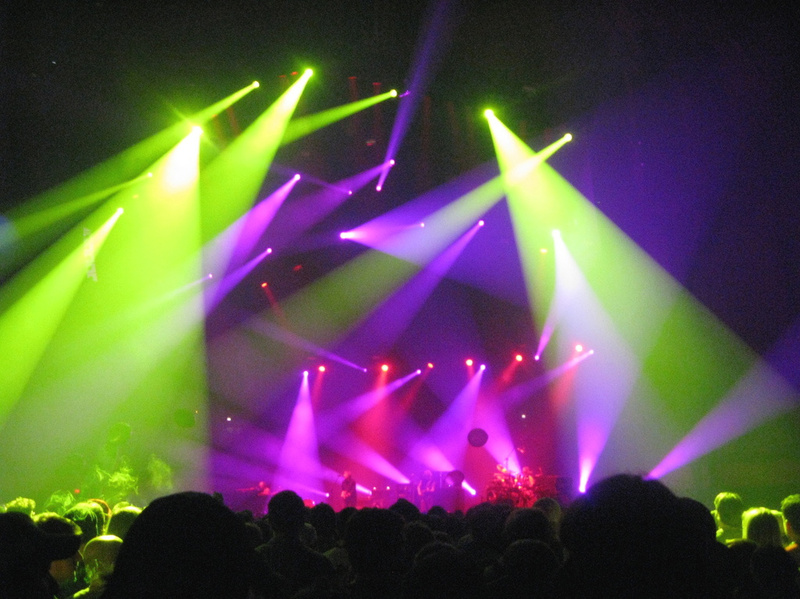 After playing 84 songs over six never-ending sets at Hampton’s last month, Phish still managed to leave a few classic pieces untouched. 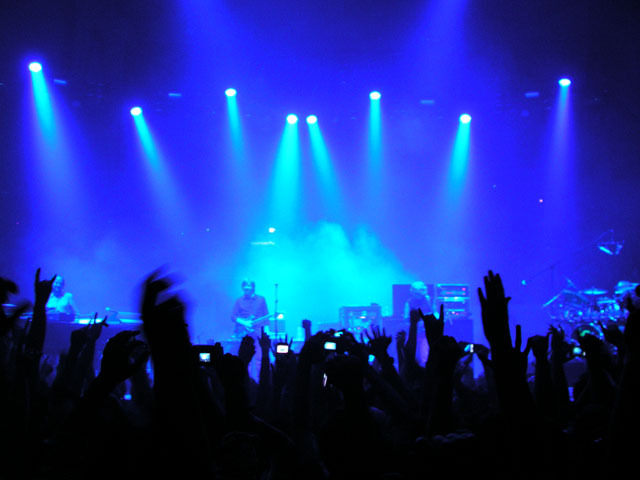 With only three shows, there was no doubt that some songs would have to be left off the guest list, with their finger in the air. But when sets turned into mini-shows, and the evenings stretched to four hours, it seemed that no stone would be left unturned. 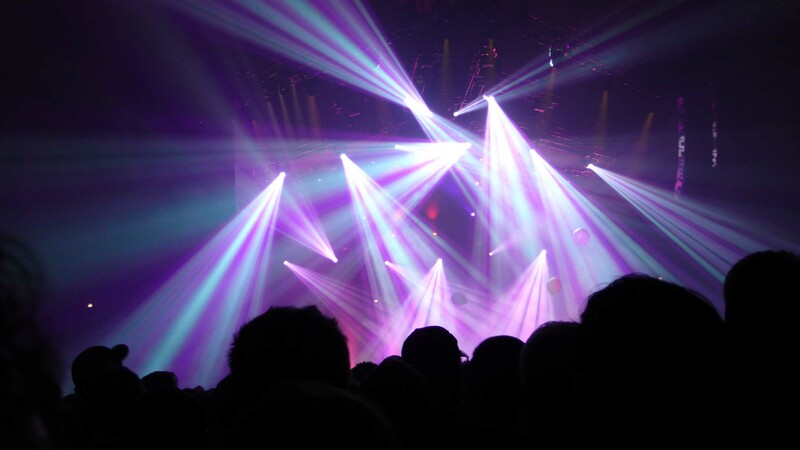 As the band tore into most of their classic old-school repertoire, it seemed that we would hear all of the significant snippets from Phish history. Yet upon further review, we missed a couple. And given the vibe of the weekend, it is hard to believe that these, somehow, missed the cut. The gateway to Gamehendge, “Lizards” is a hallmark of early Phish composition. 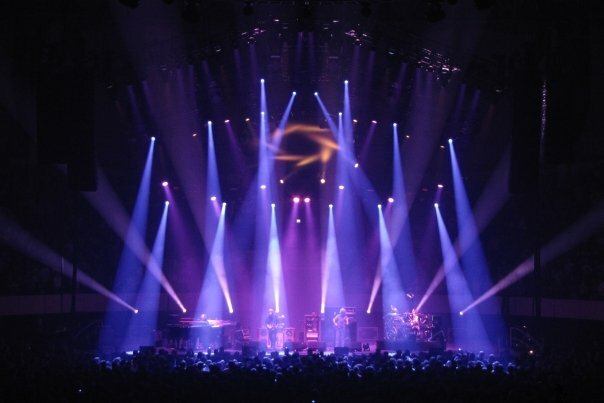 One of the most-loved non-improvisational pieces in the band’s catalog, “Lizards” embodies the Phishy spirit and was, similarly, the gateway to the world of Phish for many a fan. Its absence within the three-show weekend wasn’t noticeable at the time, yet unfathomable in retrospect. Trey’s composed “If I Were a Dog” solo in the second half of “Lizards” is one of the most sacred moments of Phish music, and one we will be sure to hear this summer. One of the most popular set closers in the band’s history, “Cavern” could have also slid anywhere within those two-hour first sets. 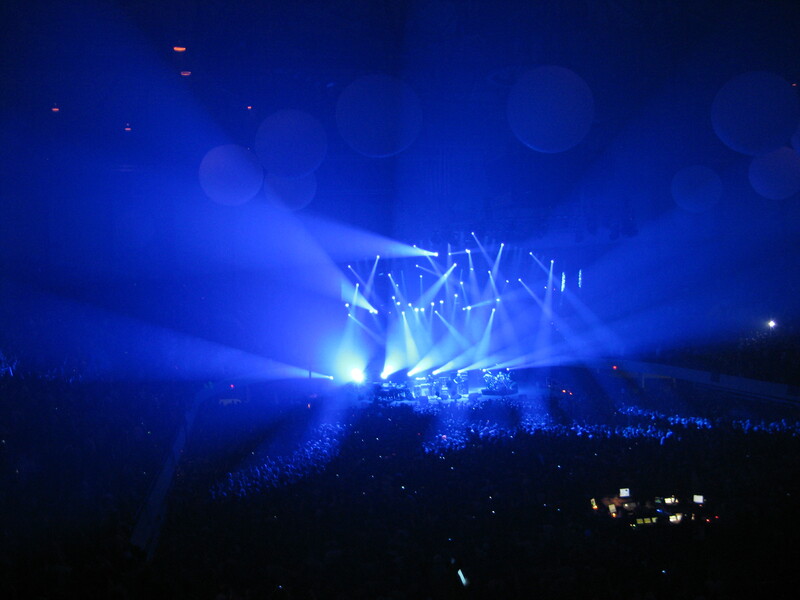 “Cavern” was one of the feel-good arrivals of a Phish show, and often the song that punctuated that special set. Its funky rhythms always gave you one last song to rage before the encore. 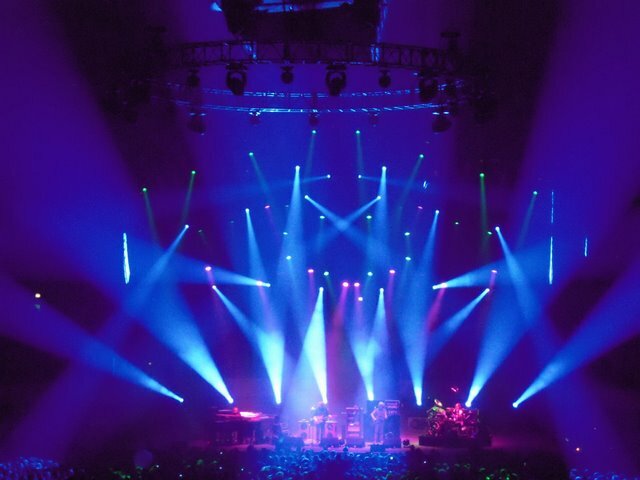 Choosing many less prominent songs over this night-time mission, Phish left “Cavern” to close a set this summer- coming soon to an amphitheatre near you. 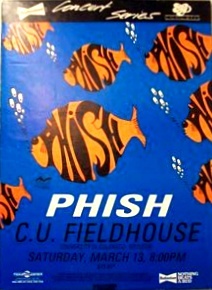 A song that dates back to Phish’s days of college, this adopted cover was a staple of summer Phish. It wouldn’t be surprising to see it appear early in the first show at Jones Beach, welcoming the community back to the summer circuit. Its calypso rhythms and island vibe would fit nicely along the water at Wantaugh, NY for the first summer show since ’04. In any three-day exploration of old-school Phish, one would expect to hear this short and fiery Gamehendge reference. Embodying the tightness and precision that band has vowed to reconnect with, “Llama” would have been musically congruent with the weekend’s goal. You would imagine that this one won’t stay in hiding for long, and when it does return, expect it to jump of the stage with a renewed gusto. Sure, they could never have fit them all into three shows, but after brainstorming which songs were left off the list, these were the non-selections that stood out the most. 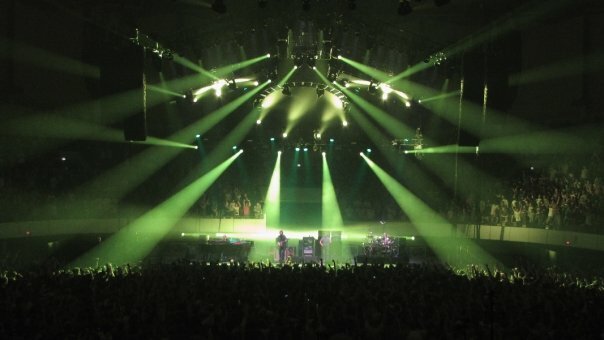 All fixtures the Phish’s early catalog, each holds a distinct and special place in the band’s history. 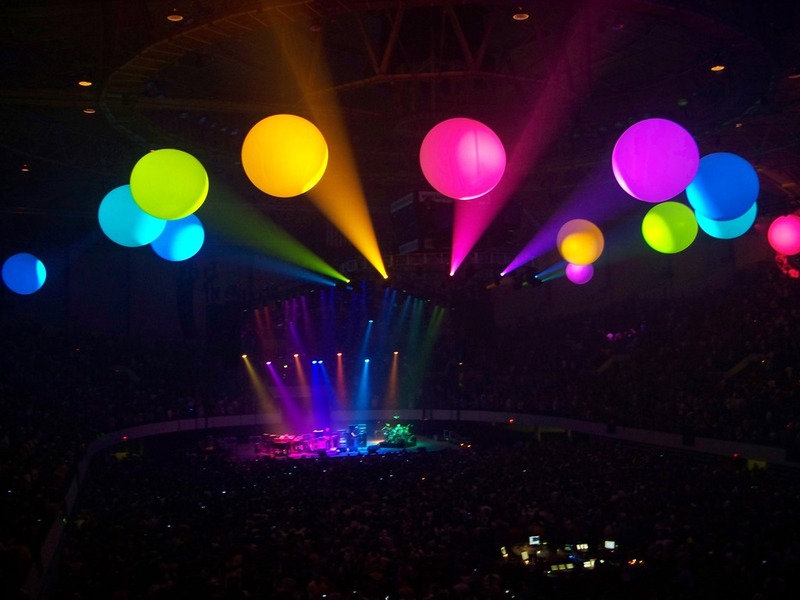 Applying only trivial significance into these omissions, it is interesting to think back at all those hours of Phish and realize that we never heard these five. Sticking with the old-school theme of the day, here is a SBD copy of the 1991 New Year’s Eve show. This would be the final New Year’s without some sort of additional spectacle. Just lots of crisp, old-school jamming. 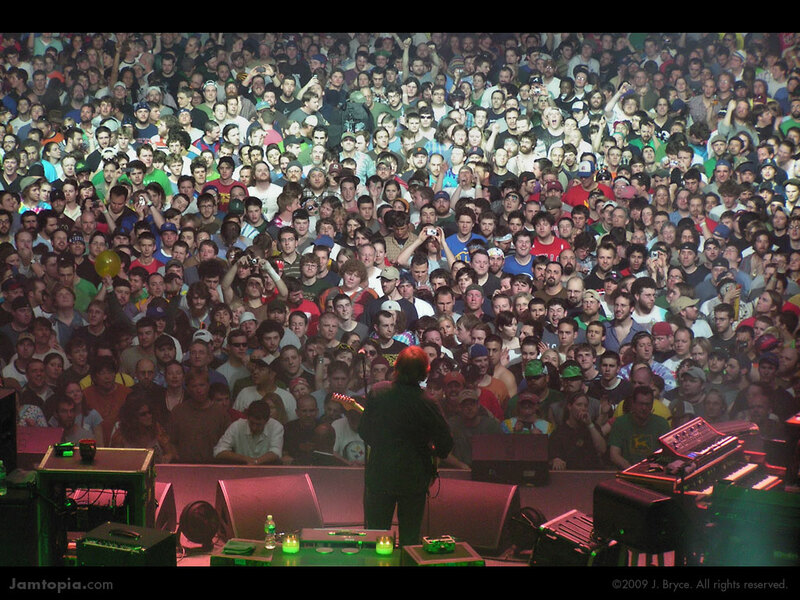 This one contains many a Phish classic. Phish jams provide so much more than mere music- they are experiences. When the “Tweezer” lick or “Mike’s” riff drops, that adrenaline we feel isn’t due to the audio stimuli we are about to receive, but rather the all-encompassing life experience we are about to notch into our belt. 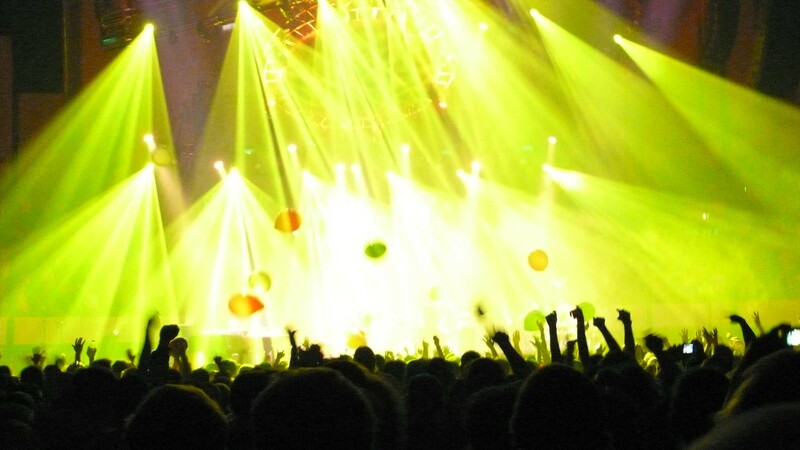 The experience of a Phish jam moves beyond “listening” into the realm of “living.” These jams bring us inspiration, fear, introspection, catharsis, and revelation- this is the fabric of life. This contributes to the humor when parents or non-Phishies ask us why we would want to attend four straight shows. Always a difficult question to answer to those who haven’t experienced IT, we often find ourselves stuck- or talking for ten minutes- trying to explain. It all comes down to the live experience- experience– those moments where nothing else matters; this was one of those moments. 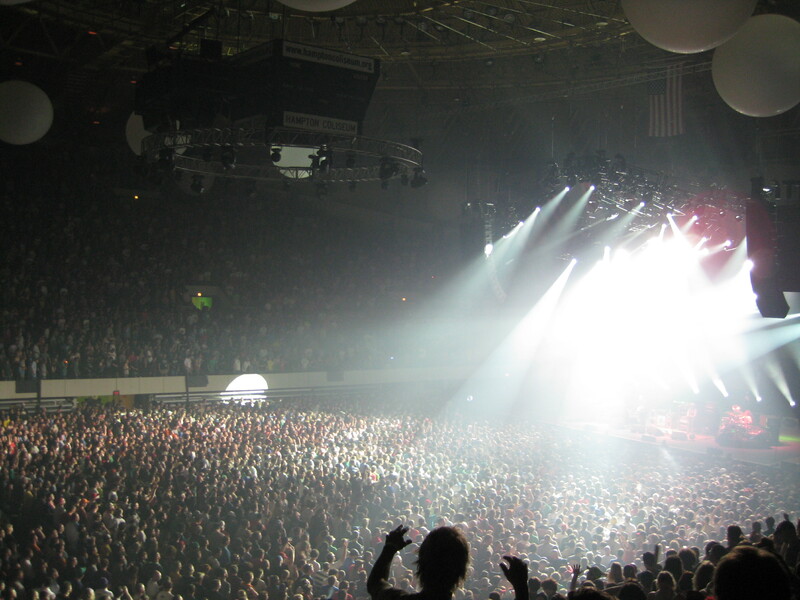 It was Saturday night in Hampton, and Phish had just finished their best segment of music to that point. “Rock and Roll > Limb” gave us an initial taste of 3.0’s improv. After a ripping ride, one might have predicted a more mellow song waiting in the wings- but there wasn’t. Lurking right around the corner was one of those experiences. 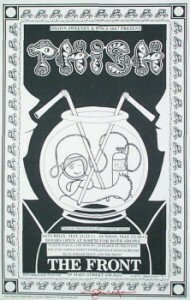 As the peak of “Limb” ended, many needing a quick breather, but Phish would not allow it, easing their way into the opening grooves of “Ghost.” Simply hearing this beginning after a five year absence, and knowing all the crazy rides the song had taken us on, was enough to send our energy directly through the roof. Echoes of yesteryear came flooding into the Coliseum, hearkening back to the colossal Hampton “Ghost” of 1997. 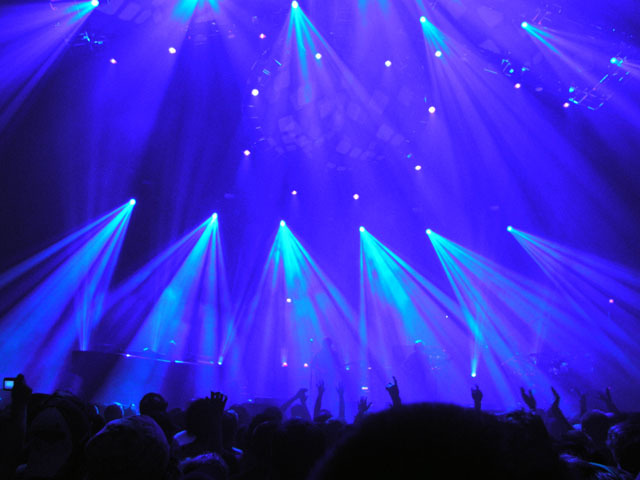 As soon as the rhythmic patterns started oozing from the stage, that feeling returned. That eager anticipation you feel when you couldn’t be more excited for the moment- we were about to live a “Ghost” jam for the first time in half a decade- and my brain was overdosing with adrenaline. Without any noodling, Trey got right down to business, offering edgy, uncompressed lines over a methodical groove. Soon the band joined the improvisation, crafting a communicative pattern around a three-note phrase by Trey. 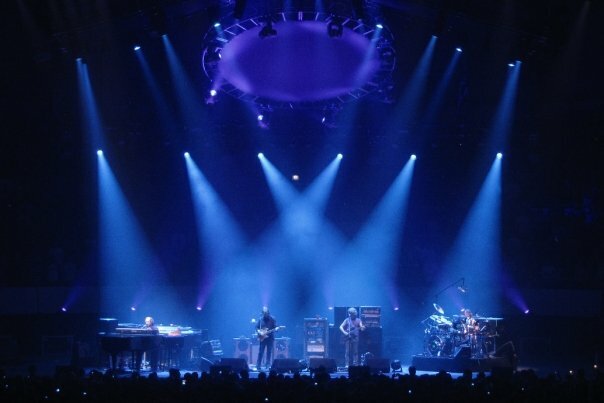 Following the beginning of the jam, the music opened up quite a bit more, allowing space for Mike, Page, and Trey to play shorter, staccato melodies that fit in and around each other like an intricate jigsaw puzzle. With no one member overpowering this segment of music, the band’s collaborative effort stood out- especially with their new live mix. 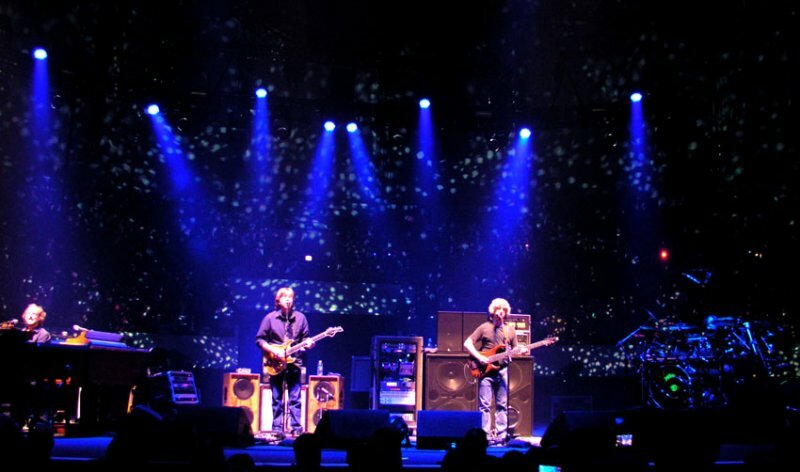 Coming to a natural transition, the band shifted back into a more traditional “Ghost” story, with Trey playing sustained wails over the band’s soundscape rather than focusing on dance rhythms. 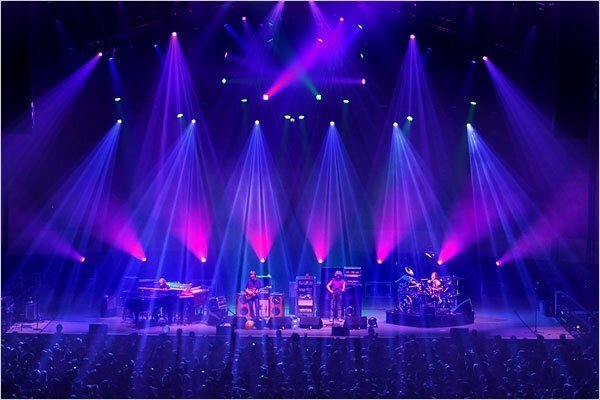 The music began to ascend- chasing Trey’s emotive offerings, and before we knew it, the band latched onto his melodic geyser, following his lead into one of the most spiritual releases of the weekend. 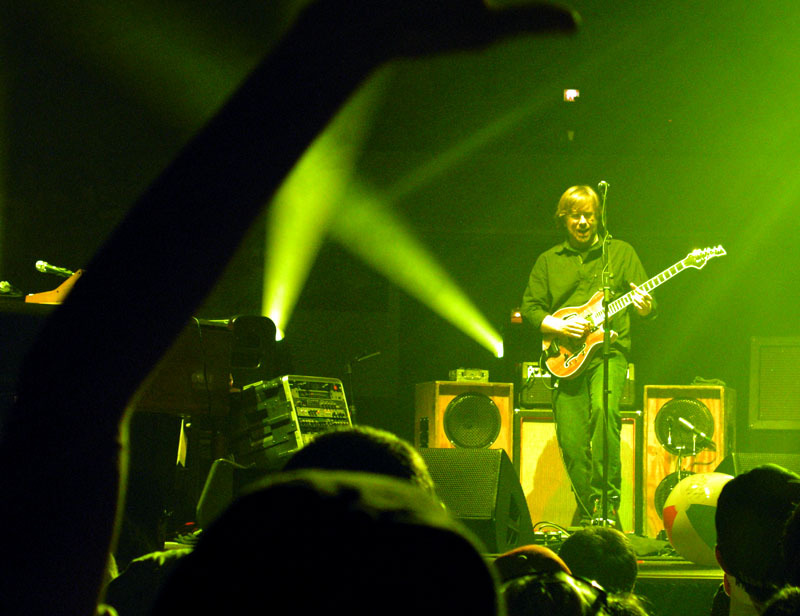 This was the first time that Trey stopped thinking and just played what was in his heart- and it was so, so obvious. 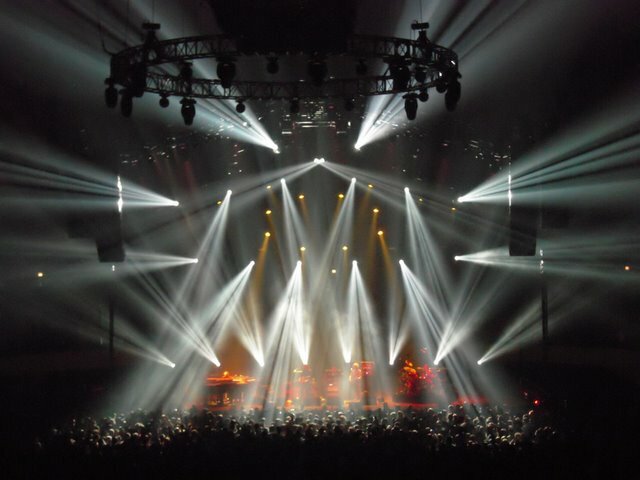 The previously calculative Jedi had lost himself in his music, inviting us to come along, rediscovering the unbridled joy in the organic peak of a beautiful Phish jam. The emotions evoked within myself, as I’m sure many others, were awing. There we were again- merged with the band in the middle of IT- dancing our hearts out because nothing else mattered. 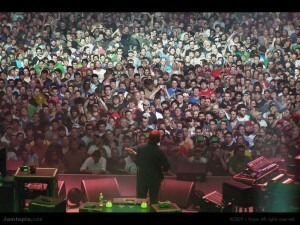 It was a powerful moment; rediscovering the experience of Phish as the band grew more comfortable on stage once again. 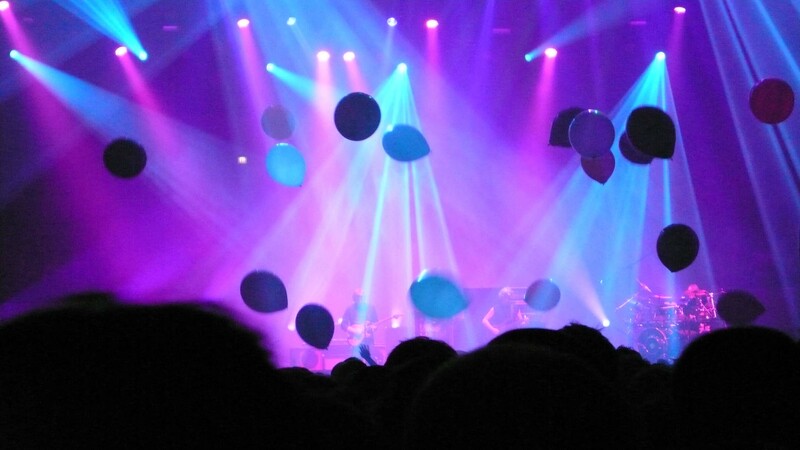 Soon after the climactic peak, the band slid down the jam’s denouement and right into “Piper.” This “Ghost” authoritatively completed the message whose delivery had started with “Rock and Roll > Limb”- Phish’s emotional improv was back. While much of the first three sets carried the vibe of a recital, it was this second set that announced the band’s creative return. And it wasn’t until “Ghost” that we caught a glimpse into the soul of the band that will inspire us through the next part of our lives. Moving right along, here we have night three of 1996’s famed stint at Red Rocks. 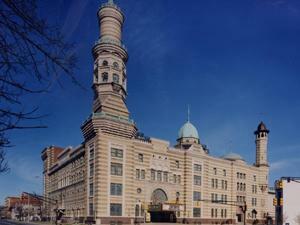 If you are following along, we will go though every show the band has played at the legendary venue this week. The no-brainer highlights of this show are the first set-ending “Antelope” and a sublime “Tweezer” that is one of my personal favorites. Look for the gorgeous “Hood” that concluded the night’s jamming. This one is a keeper. 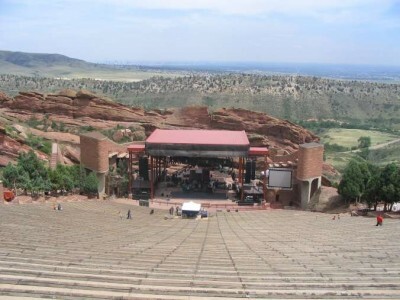 *Contained “This is Red Rocks, This is the Edge” (referring to U2’s live album “Under a Blood Red Sky”), by Trey. **With “Norwegian Wood” jam. #First appearance of the “Hood!” chant after the band sings “Harry,” which was initiated by flyers passed out at the show. Hampton wasn’t just a new chapter for the band and the audience, it also represented a transition in front of house sound engineers for the first time since 1986. 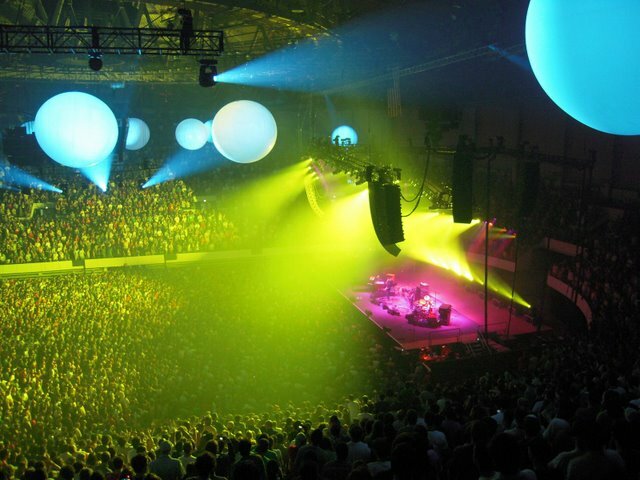 Paul Languedoc had held down the soundboard at Phish shows for nearly two decades, and had become an institution in the Phish scene. Like all institutions, legends were built around him- not just his mixing- but his individually hand-made guitars. While many guitar players switch axes many times throughout a show, you’ll never see Trey ditch his trusty Languedoc- it’s the sound dreams are made of. Versatile and beautiful, Trey’s guitar tone, while encompassing many variables, all starts with the Languedoc. Mike also used a Languedoc-crafted bass until 1997, when he switched over to his Modulus, boasting a fuller sound for the band’s groove-heavy era. But as an everyday member of the band, Languedoc was the sound guy. 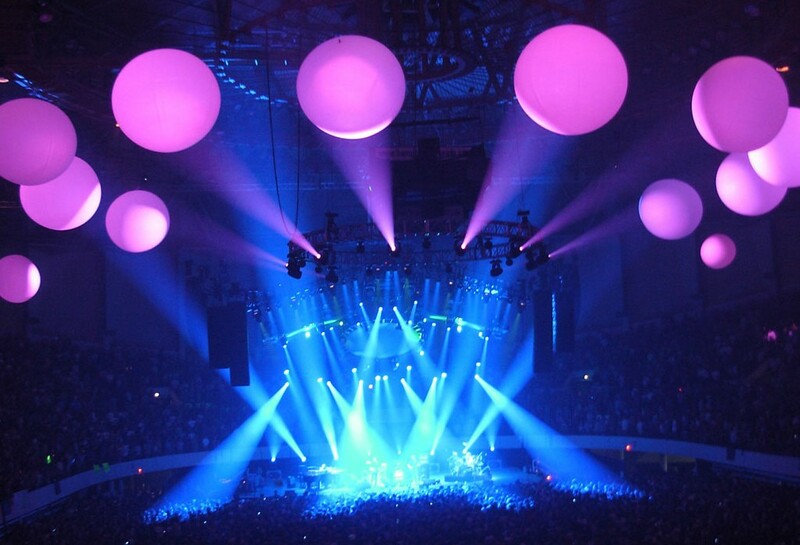 As Paul has retired from the road, Hampton was our first taste of Phish without his oft revered mix. And to be honest, I think it was better. Back in the day, friends and I wondered why Languedoc was so consistently praised for his live mix; in short, we didn’t believe the hype. If there was one thing Paul made sure of- you could always hear Trey at the top of the mix. (And this is coming from a Trey lover to the end.) While Mike and Page offered just as much musically, they were always turned noticeably down, and it often became humorous. In fact, it wasn’t just us that noticed this; fans began to take notice on large scale. In early 1997 a “social protest movement” grew within the Phish community- PLM or “People For a Louder Mike.” It took an organized cadre of tapers and hippies with a catchy slogan for Languedoc to amend a clear shortcoming! Finally, Gordeaux got brought to an acceptable place of prominence in the live mix. Coinciding with his switch to the Modulus, all of a sudden Mike was dropping bombs that enveloped the room- and it was the best. Then you had Page. It has become a virtual consensus among fans that he was at the top of his game in Hampton, leading jams and creating engaging melodic themes all weekend long. And I completely agree with this. While Trey was self-admittedly a bit tentative over the weekend, The Chairman stepped up throughout the shows, earning MVP for the comeback run on many a message board thread. While there is no doubt that he was shredding, I now pose the question, “Was part of Page’s prominence in Hampton partially because we, literally, heard him better?” Taking nothing away from his playing, I sincerely believe this factored into why he stood out so much. Our ears had been trained- for years- by listening to a relatively unbalanced, guitar-heavy, live mix; one in which Page was most easily lost. Hence, with a more balanced mix, Page would naturally stand out. In addition, Languedoc’s mixes weren’t the most dynamic- meaning he wasn’t always responding to what was going on stage. If someone steps up to lead a jam, they should be pushed up ever so slightly in the mix, in order to complement the natural contour of the music. 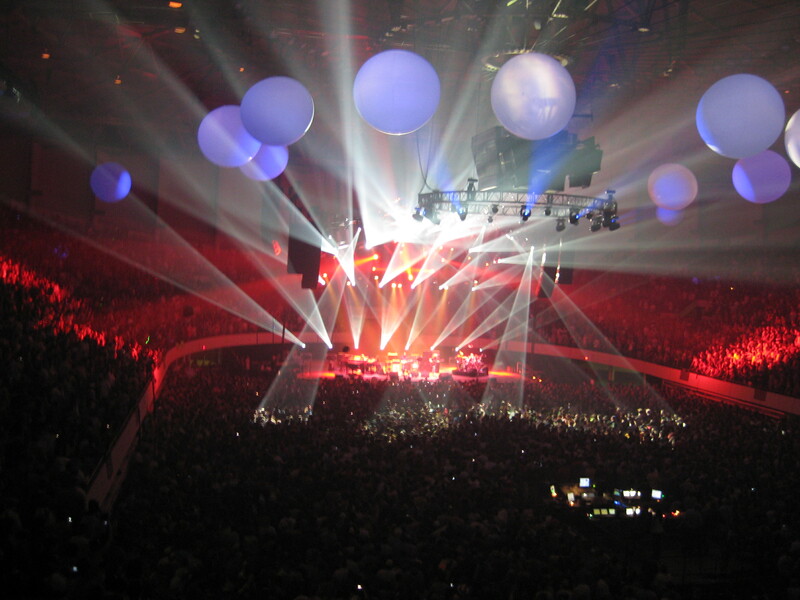 While potentially inaudible in one instance, over an entire show of “dynamic” mixing, the music will “pop” much more. To be fair, Languedoc had a very good mix, but he definitely had his taste of how it should sound. Once he achieved that sound, he became somewhat of a creature of habit with the knobs. I know this may sound blasphemous to some fans out there, but it is certainly not meant in any inflammatory way. Paul did a great job for a long time, but had a propensity to settle in with the room sounding a certain way. Ultimately, Languedoc’s true passion seems to lie in his custom guitars, where he has chosen to focus his work from here on out. I have no idea who did the live mix for Hampton, but I do know that it sounded amazing and far more balanced. Yes, they was the first shows back, it had been a while- but after seeing hundreds of shows, it was something that jumped out each night. And the best illustration of this new-found balance was how crystal clear Page sounded all weekend long. In a band of such uniquely talented musicians, all should be treated equal, with necessary adjustments made on the fly. At Hampton, this four-part equilibrium was closely approached- maybe moreso than ever. Call me crazy, but I it noticed on all three nights. This is in no way meant to bash Languedoc- he always had it sounding spot-on in all types of rooms for nearly twenty years- but his affinity for big guitar often compromised Page’s contributions. I’m not even sure if the person who mixed Hampton is a permanent hire – but it’s fascinating how someone stepped in for their first time ever and had the mix sounding so vibrant. It’s interesting what a fresh pair of ears with no preconceptions can do. Do you Agree? Disagree? I’d love to hear your opinions in Comments! 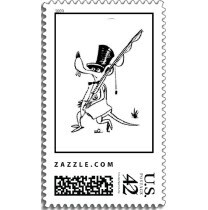 **Page, solo on Theremin. 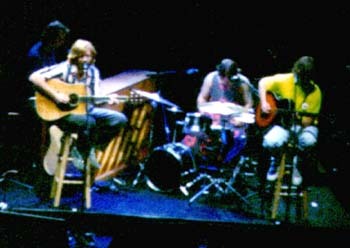 ^Page on a smaller piano, Trey on acoustic guitar, Mike on acoustic bass, and Fishman on a smaller drum set (the “acoustic mini-stage”). #First time played. “Backwards Down the Number Line,” “Beauty of a Broken Heart,” and “Undermind”- the debuted triumvirate- all carry a common thread of reuniting and moving forward. As carefully as Trey worked over these setlists, you can be sure that these three songs were specifically chosen to communicate a message; one of re-found happiness, reunion, and redemption. “Backwards Down the Number Line” opened the first second set of chapter three, and placed in this significant slot, its meaning cannot be ignored. Originally, the song was a birthday poem that Tom Marshall wrote to Trey while he was living alone in upstate New York. In Rolling Stone, Trey referenced the first time he got the poem from Tom. As soon as I read it I put it to music. It summed up how I feel not only about Tom but the band and our audience. It’s about getting younger. Let’s take a step back together- and simultaneously a step forward. That’s what these shows feel like. I had to play that song. “Beauty of a Broken Heart” was the biggest surprise of the three debuts, coming from Page’s self-titled solo album released in 2007. Written as a reflection on Phish’s breakup, there couldn’t have been a more fitting song for the band to adopt as they came back together. the colors can come back to you. These lyrics, written as a musing on something that had ended grew new meaning now that Phish is back together. Most literally, the colors have come back to us. 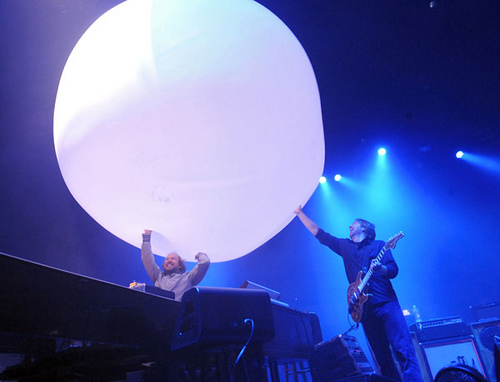 This was not only a poignant moment of the show, but also a rare addition from Page to the Phish repertoire. Seeming like the band may try to incorporate their diverse solo material into the collective mix, this could be the beginning of a pattern. Perhaps the most symbolic debut of the weekend was “Undermind.” The long awaited title track made its appearance in the first set of the last show, foreshadowing what is to come in the Phish world. Tweaked musically, the performance featured crunchier grooves than we were used to hearing on the album. Downplaying melody in favor of rhythm, the song adopted a funk-reggae feel. But as infectious as the grooves were, the lyrics painted a playful picture of where the band is at right now. With the repetitive line of “Undecided, Undefined” leading out of the jam into the end of the song, the message was clear- the future is wide open. A song that seems like it was written and shelved just for the band’s comeback, the synchronicities between its lyrics and the state of the Phish scene are remarkable. Perhaps the most exciting debut, musically, fans immediately foresaw this groove-based vehicle going places come June and beyond. While new material may not have been the focus of Hampton, the carefully selected debuts conveyed a powerful message. Between the three songs, we can infer a genuine enthusiasm for the band’s reunion and a commitment to forge a new path for Phish. As we move in to summer and will hear more of what “the new” has to offer, understand that it represents where the band is coming from now. Don’t be that jaded fan to knock a song because you never heard it before and it’s not “Tweezer”‘- even “Tweezer” was a new song once too you know. With all the Red Rocks madness engulfing the scene over the last 24 hours, I figured we would revisit the epic four night stand that got the banned in the summer of ’96. Here’s night one, with others to follow. Again, please use torrents. Tucked away amidst a two-hour first set on Saturday at Hampton was one of the dark horse jams of the weekend. 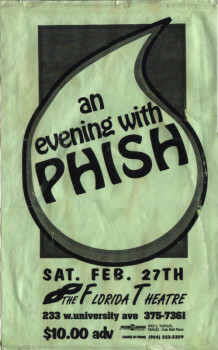 With marathon setlists each night, some moments were inevitably lost in the extended fray- especially “Split Open and Melt.” Representing the first real jam of the evening, the band took a daring ride down an abstract ally, creating a seething piece of music that was reminiscent of the band’s full on experimentation in ’94. 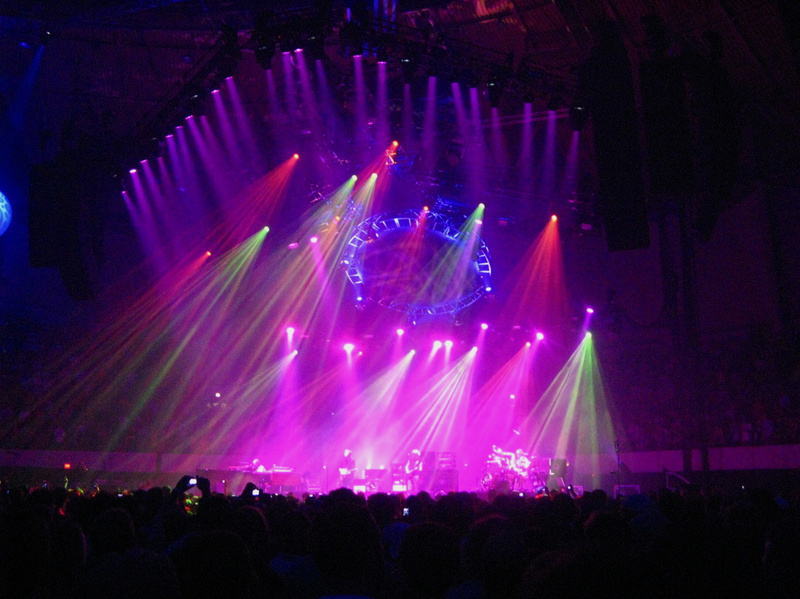 Leaving groove behind, the band attacked this jam vigorously, previewing the more open-ended excursions of the second set. Contributing to the early ’90s vibe that defined this first set- and the entire weekend- “Split Open” was the first piece of the night that really got the show going. Immediately firing up the crowd, the band sat into the introductory grooves of the song. As they approached the pre-jam break, that rush of anticipation grew tangible, knowing we were about to live the first “Split” in five years. As we plunged below the water line, between beams to the gloom room, we were soon covered with seaweed and slime- and then it was time to melt. Starting the jam at a brisk pace, the band wasted no time getting into the thick of things, characteristic of most all the shorter jams at Hampton. Delving into the dense musical canvas, the band almost immediately guided the jam out into more abstract territory. With Fishman playing a complex and grooveless beat, the other members began adding their interpretations of this experimental plane. 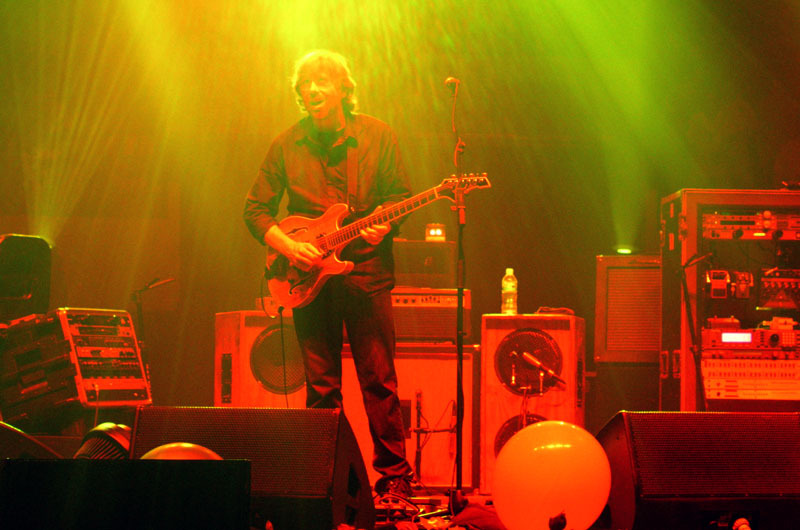 Trey focused primarily on wailing tonality and searing walls of sound, bringing the improv ever deeper with his work. Mike played a continuous bassline that followed the jagged contours of the jam, while Page added blocked piano chords that anchored the far off jam to the song. As the band got involved in twisting improv, one could have been fooled into thinking they were listening to a version from the mid-nineties. Trey progressed into his dirtiest tone, playing more distinct phrases, as Fish worked over his cymbals like it was the last time he would ever play them. Following this maddening path, the band came to a dissonant peak before pushing onwards through the sonic sludge. At this point, Mike began pounding out a heavier, repetitive line, inviting the band to return to the song’s structure. Within a minute, they had congealed and completed “Split,” but the brevity of the jam certainly took nothing away from its quality. 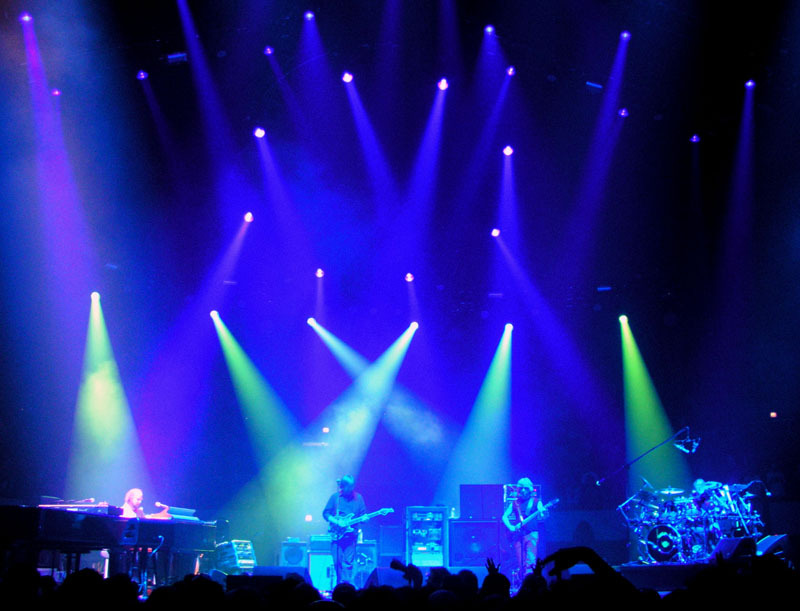 A menacing portrait of the band’s 3.Old-school sound that painted the Hampton shows, this jam was a quick reminder of Phish’s ability to take a jam very far out in no time, and speed back to earth like a fiery comet. As illustrated by this “Split,” the beauty of Hampton was that it was only the beginning. Primarily, the band played concise, to the point jams as they got their sea legs back again. Come mid-summer, shows will assume quite a different landscape. And by the time summer ends, Hampton will exist as a mystical memory of the weekend when it all started to come back together again. LISTEN TO 3.7’s “SPLIT” NOW! In a very candid Rolling Stone article, Phish gave writer, David Fricke, further insight into their upcoming studio plans. 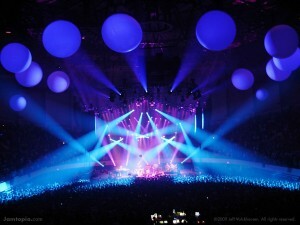 Very exciting was the fact that Phish already has 20 new songs and is prepared to start work on their next album in April. Teaming up with Steve Lillywhite (Billy Breathes) again, look for a cohesive effort that moves beyond their previous albums. Trey supported this assertion, saying, “I’m not convinced we’ve made a great record yet.” Yes, the passion is back! The article also gives you a look into the band’s dynamic during the break up and over the Hampton weekend. Although the article is not online, someone scanned it in. 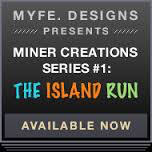 The three pages are below, click on the links and then click on the page to zoom in. It’s a great read! Continuing our week of ’93 downloads, they don’t come much more classic than this. A second set of segue-mania features the fan favorite “Murat Gin” as well as incredibly dynamic playing throughout. A definitive piece of August ’93, this SBD is a must for all collectors. In the most surreal moment of Phish’s career- and many of our own lives- they opened with “Fluffhead.” Who’d have thunk it? 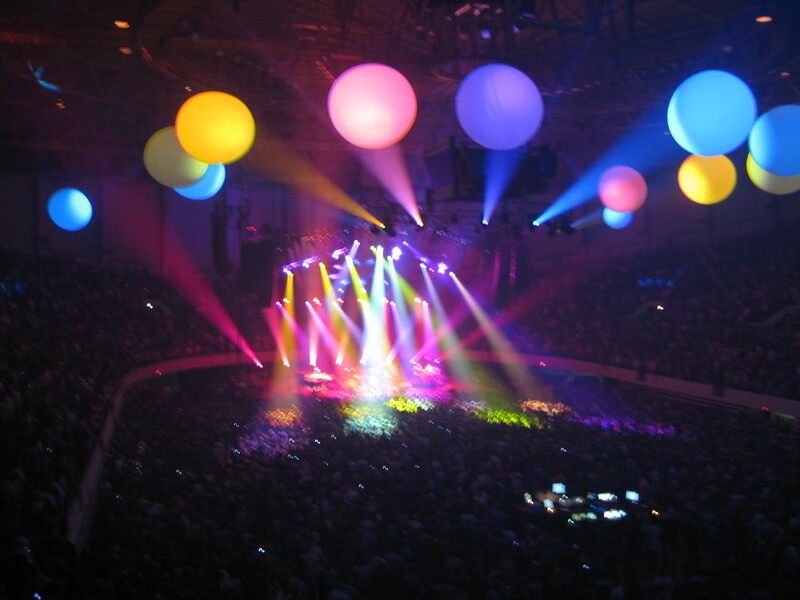 After months of rampant speculation as to how Phish would start round three, they took it back to where it all began. I couldn’t help but seeing this as a new beginning. I thought immediately back to the opening of Boston’s 20th anniversary montage that started with four funny looking kids in a dorm room playing the open chords of “Fluffhead”. Symbolic for so many reasons, the opener was like a lucid dream- it couldn’t be happening, but you were seeing it with your own eyes. Chapter three could not have started with a more stunning introduction. People were a bit awed by merely being inside of Hampton once again, and the pre-show feeling was one of excitement, yet overwhelming anticipation bordering on anxiety. We had all been brought back to The Mothership to bear witness to these events, and the impending reality was overpowering. On pins and needles, people mingled, chatted and found ways to kill time; everyone awaiting the moment. Gazing around the circular portal, the feelings that flooded were of surreal disbelief. As it usually does, the moment the venue went dark took everyone by complete surprise. Much closer to 8 pm than the band used to take the stage, the venue turned to black with a pristine turquoise cloud of smoke on stage. 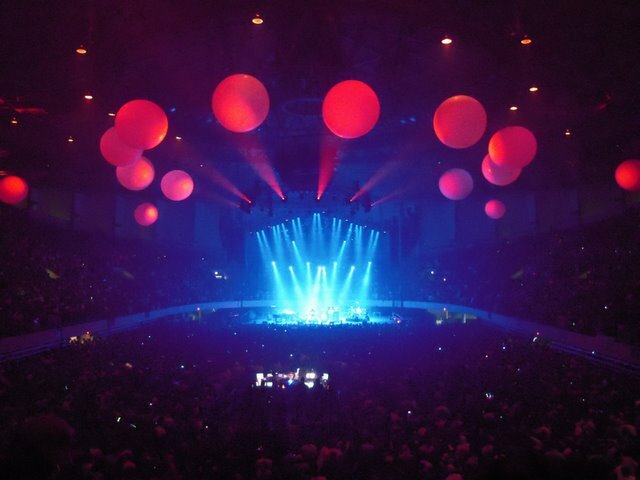 As the band emerged from the left corner of the stage, everyone’s emotions overflowed into a massive ongoing roar. As if out of a fairy tale, the members emerged from this cloud of smoke and back into our lives. “They’d never open with “Fluffhead.” It’s too hard for their first song and they’ll be too nervous”- so the theories went. 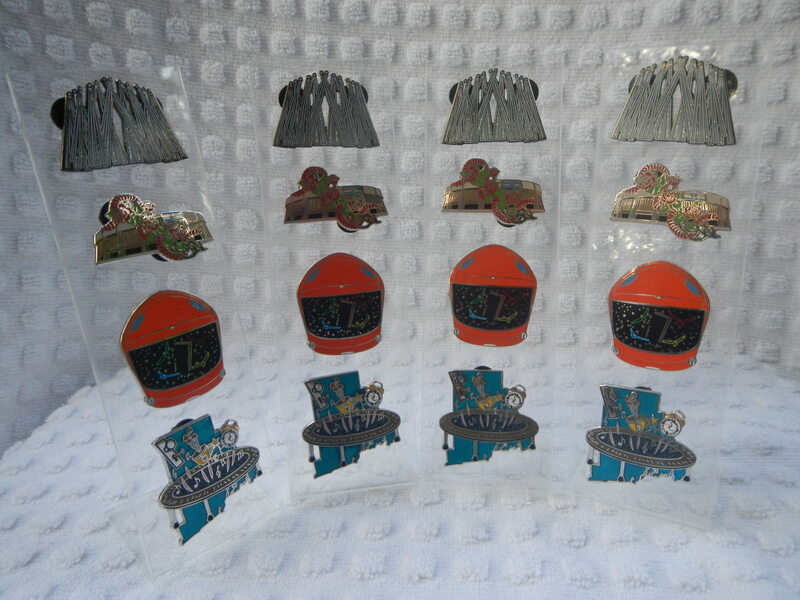 A handful of empty years made people forget who they were talking about- this was Phish- masters of the universe. 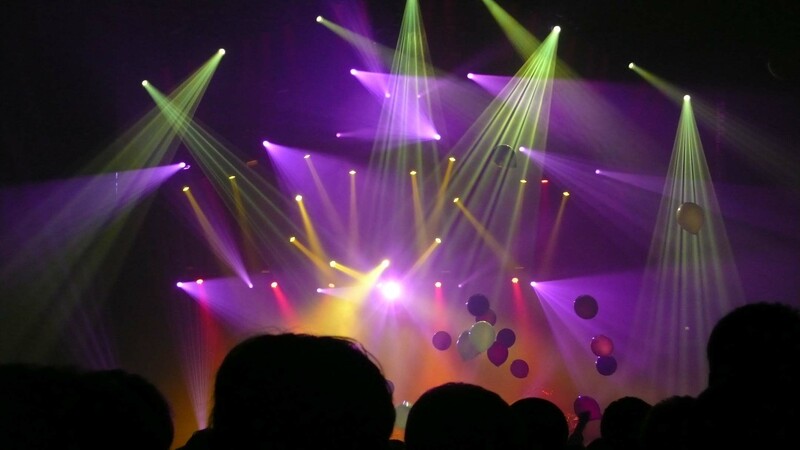 And as they hit the opening rhythms of the song, as loud as everyone felt inside, a more focused silence overtook the room as everyone wanted to hear the song’s first performance in over eight years (9.29.00, Las Vegas.) And just like that, Phish restarted. 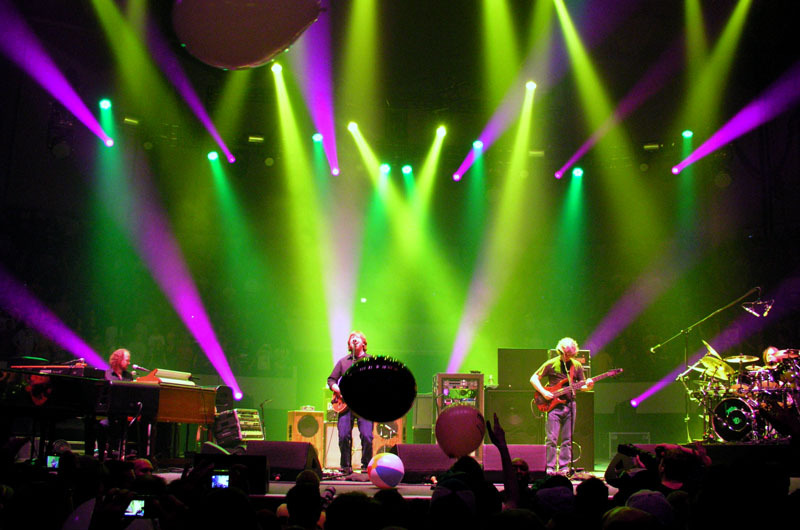 Starting round three with one of their oldest and most hallowed pieces, the band also reconnected to their Phishy roots that had been diluted during ’03 and ’04. While the band certainly created lots of amazing music during the post-hiatus period, their fun-loving, old-school prankster spirit wasn’t always there- a spirit that “Fluffhead” virtually embodies. The smile on their faces as they opened up Hampton spoke volumes to this reinvigorated gusto. 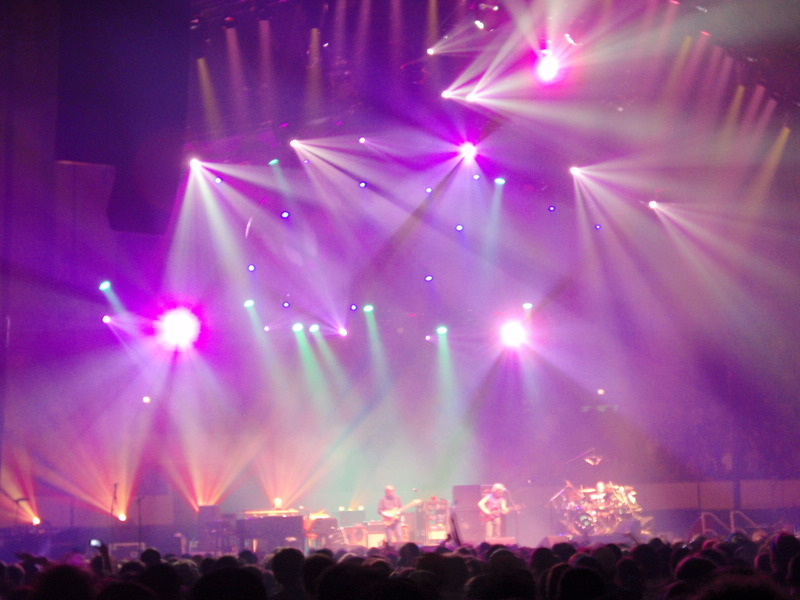 Phish was back- and they meant business- things couldn’t have been better. Listening to the band work though the methodical composition was like watching a miracle happen. 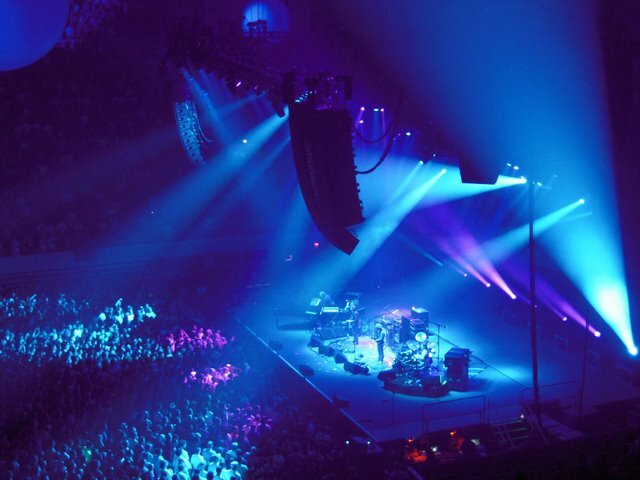 Phish resurrected themselves after five years and the first song they played was the song everyone wanted to hear. The majesty of the moment was undeniable, and the resulting emotions were like a tidal wave of goosebumps, adrenaline, tears, disbelief, and ultimate gratitude. Just hearing any Phish, let alone the intricate patterns of “Fluffhead,” would have been the fulfillment of our dreams, and this elevated the experience to a whole different level. Shot like a human cannonball into heaven, a rejoicing flooded the room; we had collectively arrived. It was really happening, and we were all a part of it, whether standing in Hampton, listening with friends across the nation, or listening with headphones by yourself- and we knew it. “Fluffy, Fluffy, Fluffy, Fluffy, Fluffy, Fluffy Head! !” We made it! 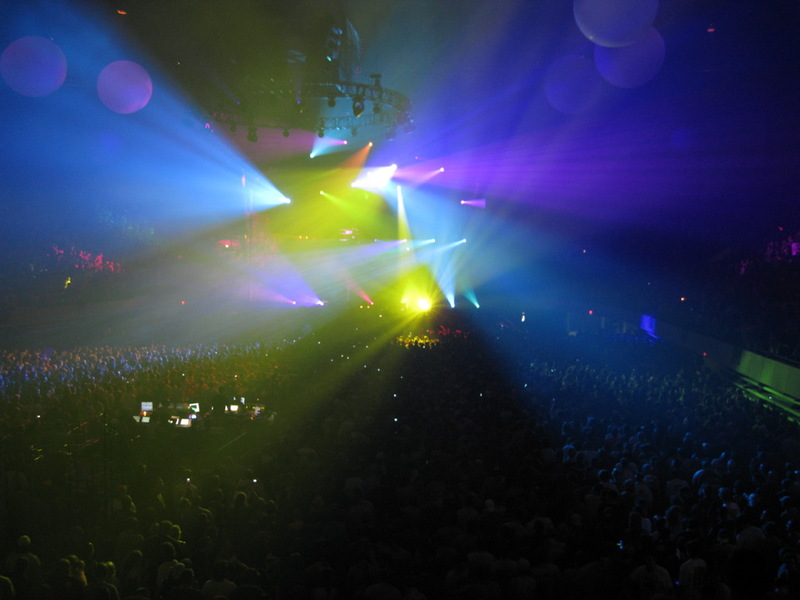 We had all been transported to a place where dreams come true and music reigns divine. We were back on Phish tour. Though it seems impossible to stop listening to the three Hampton shows, I thought I’d start this section going again. Due to the old-school vibe that permeated the weekend at Hampton, I figured we’d go back to a nice 1993 SBD. You’ll notice more than a few similarities in the setlists. Enjoy this old school nugget as we prepare for the new. 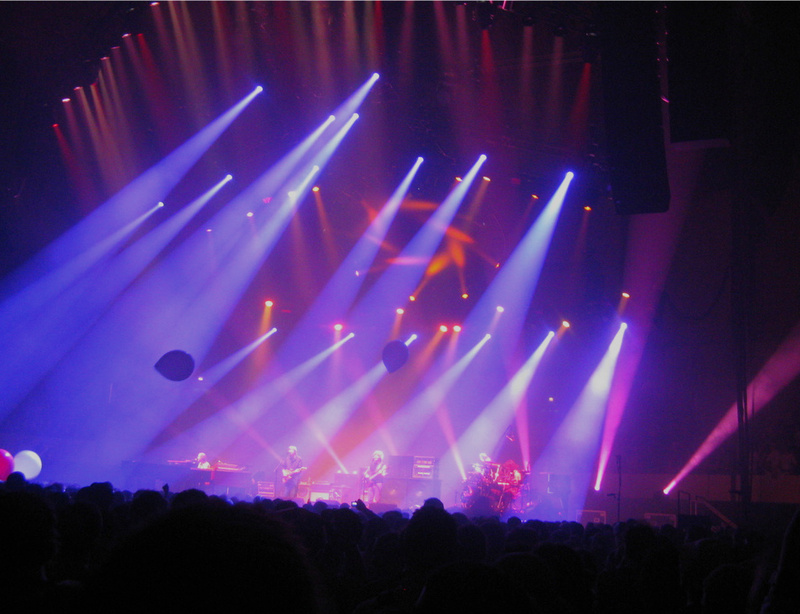 As each show in Hampton grew in musical stature and improvisational meat, Phish finally let loose during the last set of the run. Starting off the culminating set with their first truly exploratory excursion of chapter three, it was only fitting that this jam grew from one of Phish’s most popular anthems, “Down With Disease.” While the band had wet their improvisational toes during the previous night’s second set, this time they would dive right in. 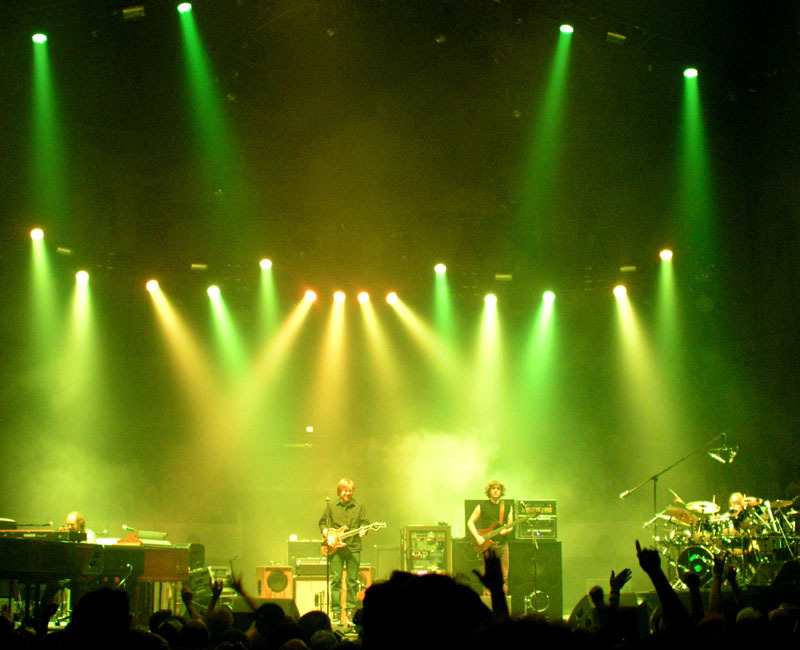 Taking over twenty minutes to explore their musical musings, Phish created their first free-flowing jam of 2009. It was only a matter of time before they busted out the big welcome-home “Disease,” and once the last set had arrived, it was a virtual shoo-in for the set opener. As the defining bass turbulence signaled the onset of the song, you had the feeling that this would be the most extensive trip yet. 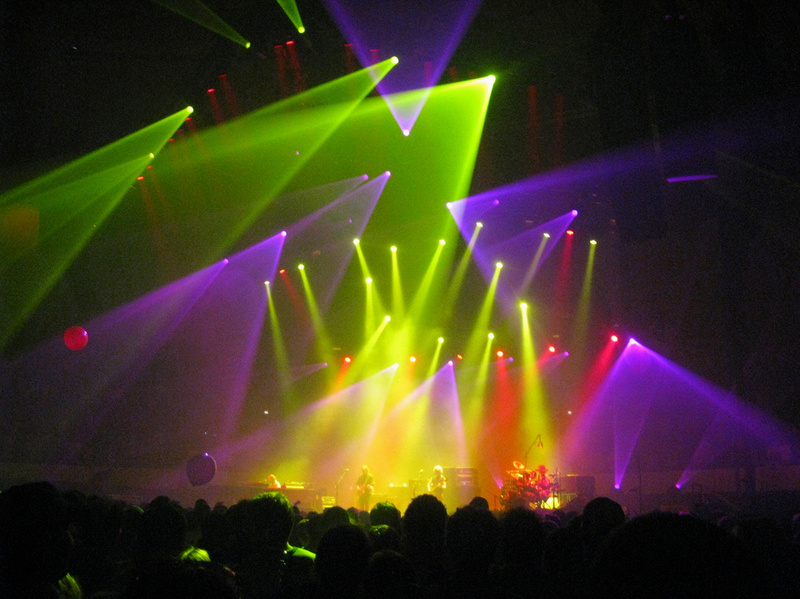 “On [our] way” back to the land where Phish frolic freely, the band carried us with a blistering composed section of “Disease”- one of the Phishiest pieces of music out there. 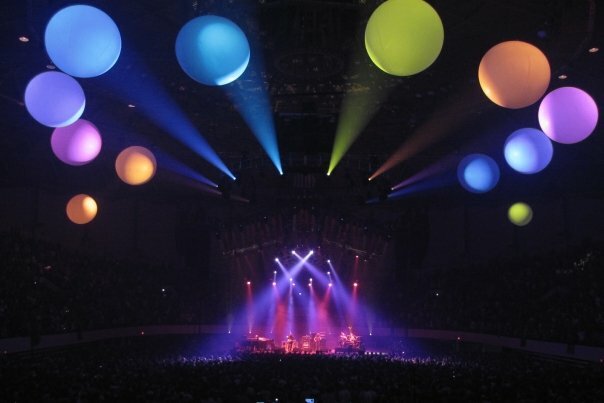 As the acid-rock rhythms guided the refreshing melodic path, both Trey and Page complemented each other, leading the band through a triumphant return of one of their favorite songs. The jam began to move away from its structure as it continued to pick up steam. 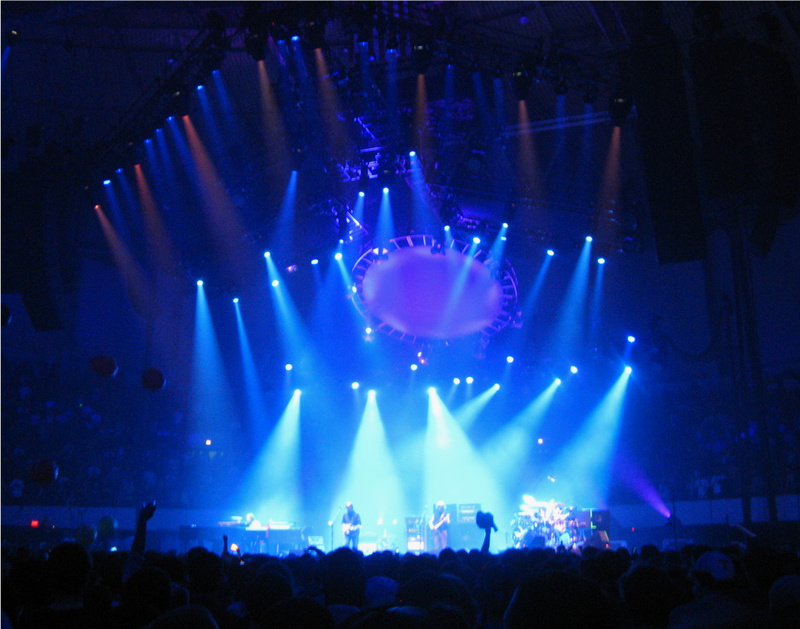 Trey began offering some choppy licks as Mike and Page began steering away from the song’s melody. 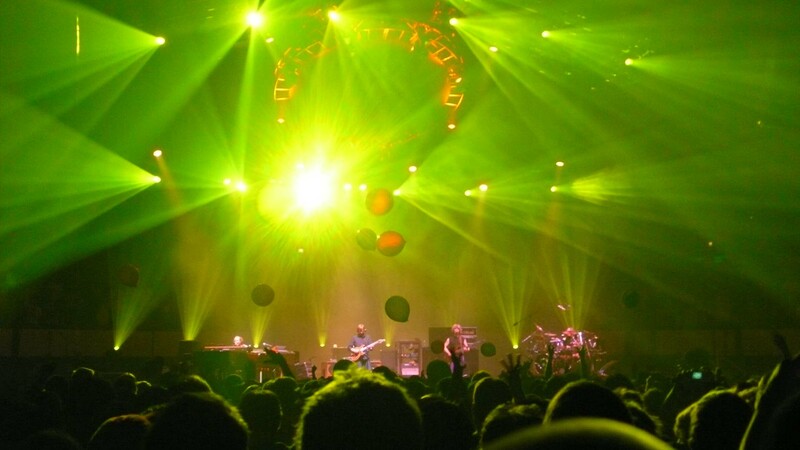 Fishman caught on immediately and switched beats into a more amorphous, rolling pattern. All the band members came together here, offering shorter-almost staccato phrases- that combine to create a sublime meandering journey. 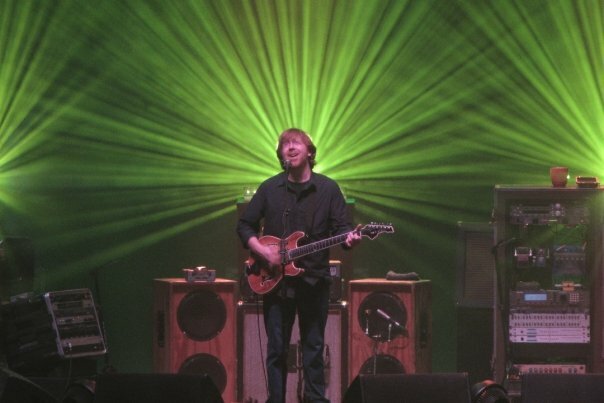 Trey and Mike played off each other’s lines, lending a more spiritual and soul-searching quality to the jam, as Page colored the canvas with electro-washes. Trey’s melodies really took center-stage here; while he may have been in the background of some other weekend’s jams, he most certainly emerged at the forefront of this one, guiding us through the dark forests of our mind with guitar licks of discovery and exuberance. 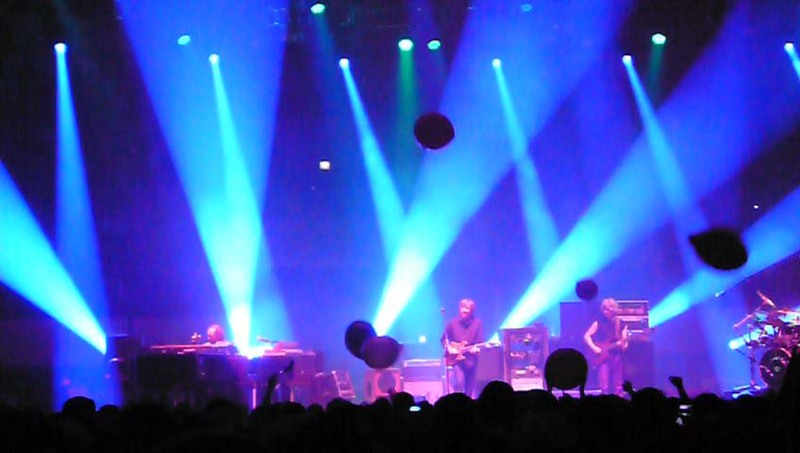 Like the Pied Piper, Trey led us into Hampton’s deepest segment of improv, as the band followed him down an increasingly ambient path of mystery and exaltation. As we glimpsed the first light out of the forest, the music transformed into a spacescape, sounding like the onset of the first “Disease > 2001” ever played. 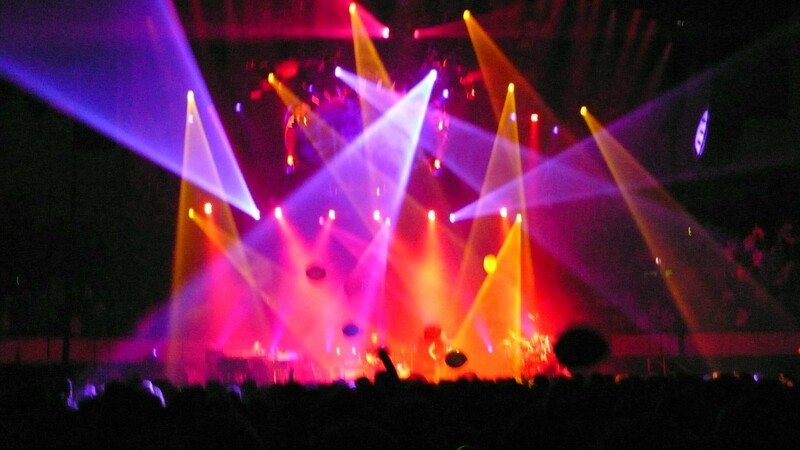 The two-song combo seemed like the perfect entrance into the revelatory plane of Phish 3.0, and while the band built up effects to this nature, Fish sped up a beat that could have easily brought liftoff. Yet, as the audience’s eyes gleamed wide for this potential combo, Fish kicked it up a notch with a far more aggressive beat and the band hopped onto his tempo, creating scorching improv, but leaving any possibility of a “2001” segue until later in the set. 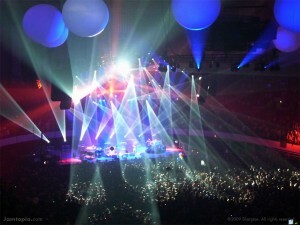 A compact amalgamation of harmony and melody, “Seven Below” capped the set’s diverse opening adventure in high-style. 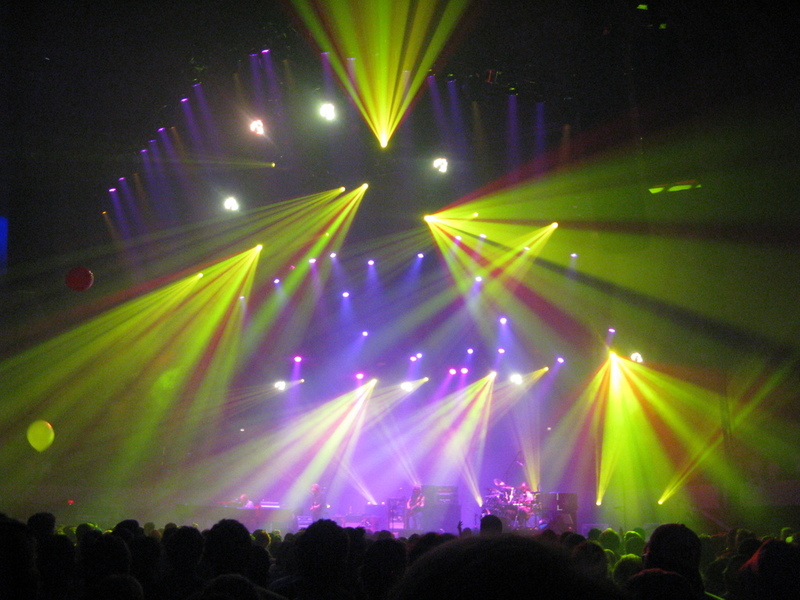 Spanning the spectrum of human feeling, Phish’s path brought us from the celebratory composed “Disease” jam into darker, open-ended improv that reached the greatest depths of the weekend, through some building ambient soundscapes and into a pool of refreshing melodic release- classic Phish. 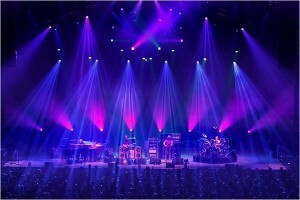 While the band spent most of the weekend showing off their practiced chops and relearned songs by running through a huge part of their catalog, this segment of the last set sent the message, “Yes, we can still melt your minds.” Merely scratching the improvisational surface of what will take place this summer, Phish gave us the first preview of the beautiful abyss we all seek to swim circles in come June. 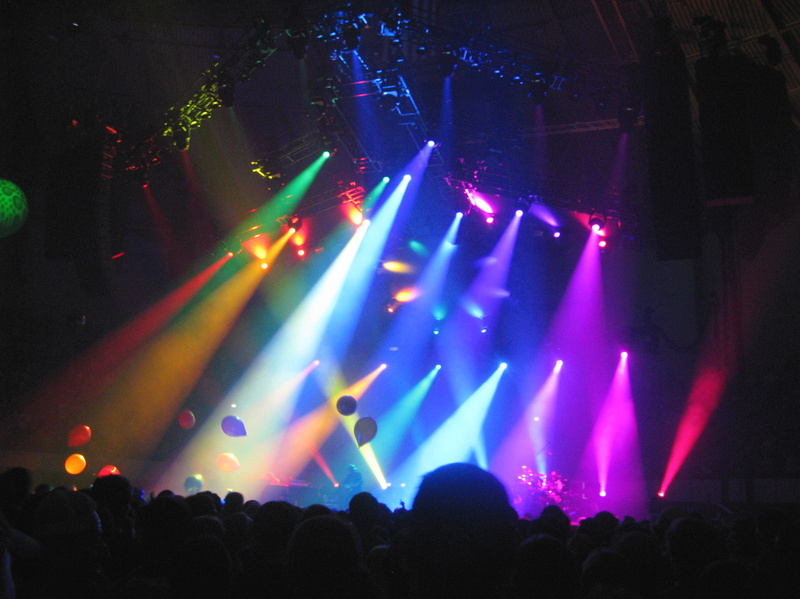 repertoire for the weekend, Phish put together the run’s biggest musical climax. In a show that featured the most precise and highest-energy playing from the band, these jams fit right in. This crowd pleasing knockout punch featured some of the biggest outright dance grooves of a weekend that focused more on composition and abstract jamming. 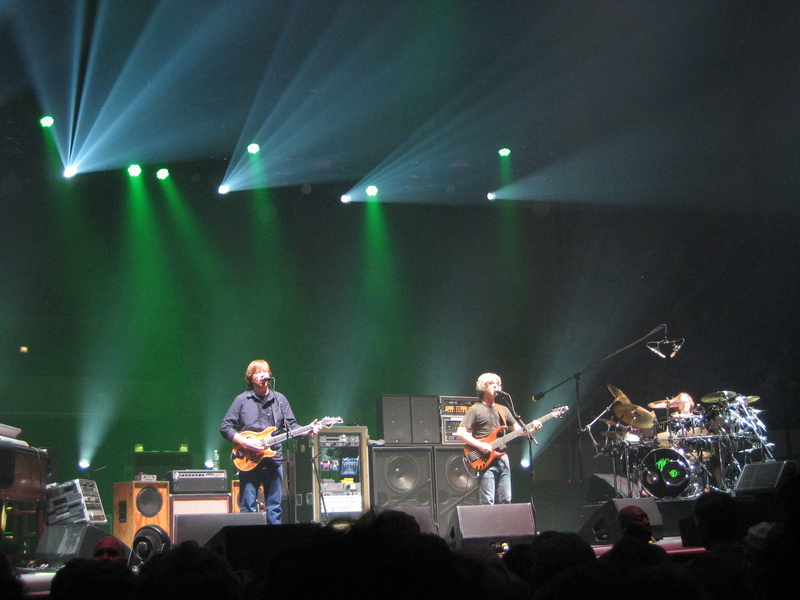 Trey growled out of the composed section of “Twist,” speaking through his raunchiest, uncompressed tone, and Mike shot laser beam bass lines, similar to several ambient ’03 “Twists.” Their interplay to start the jam stood out; Mike taking the lead melody as Trey spat distorted, yet expressive, licks with his guitar. Page chimed in with some electro-sounds, adding a completely new sonic element to the puzzle. This music represented some supremely different electro-Phish, as all three non-drummers used unique and over the top tones. The band morphed into a dark psychedelic milieu before the music slowed down quite a bit. 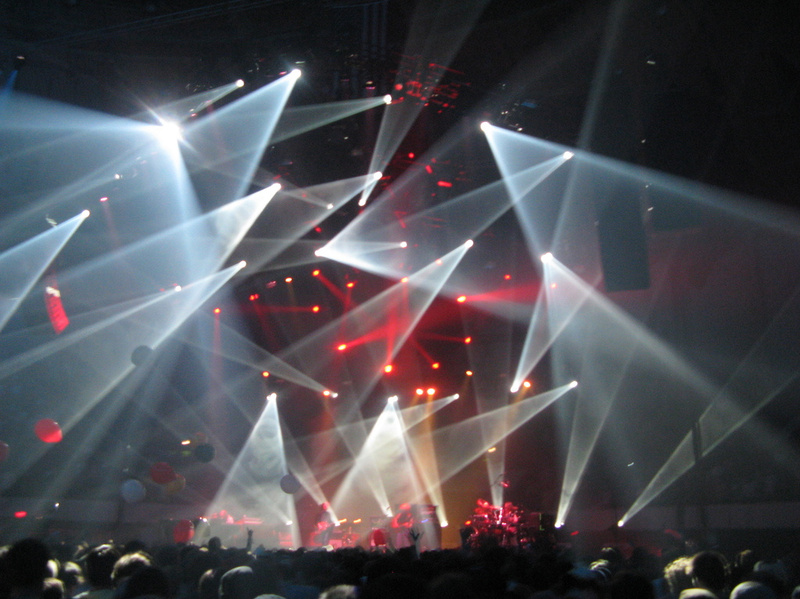 Turning blissfully ambient, Phish used their “amoeba-like jamming” to create surreal textures. 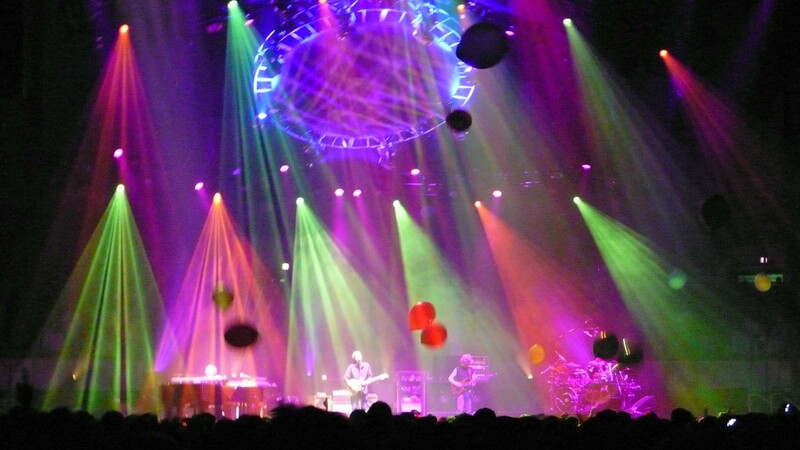 But minutes into this deepening musical path, the band subtly- on the drop of a dime- slipped out of the sonic stew into the beginning of “2001!” Trey led the way with a beautiful descending melody, carrying everyone into outer space as Mike revved up the bass-heavy groove. 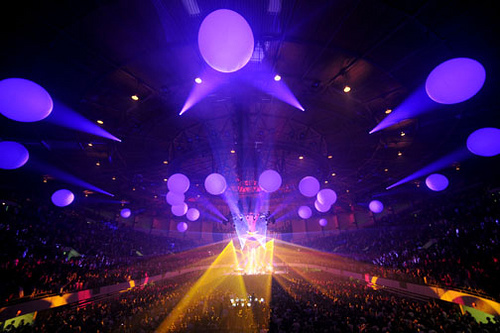 Hampton Coliseum into “The Mothership,” and the venue careened through the corridors of outer space. With slammin’ funk grooves, the band initiated a short, but oh-so-sweet, dance session that brought the highest energy of the night. An old-school version, this “2001” was simple, chunky, and ripping. Like candy for the mind, the rhythmic patterns dusted off a part of our soul that had lay dormant for five years. As the band quickly reached the second peak of the song, what would they launch into? What did they have left? 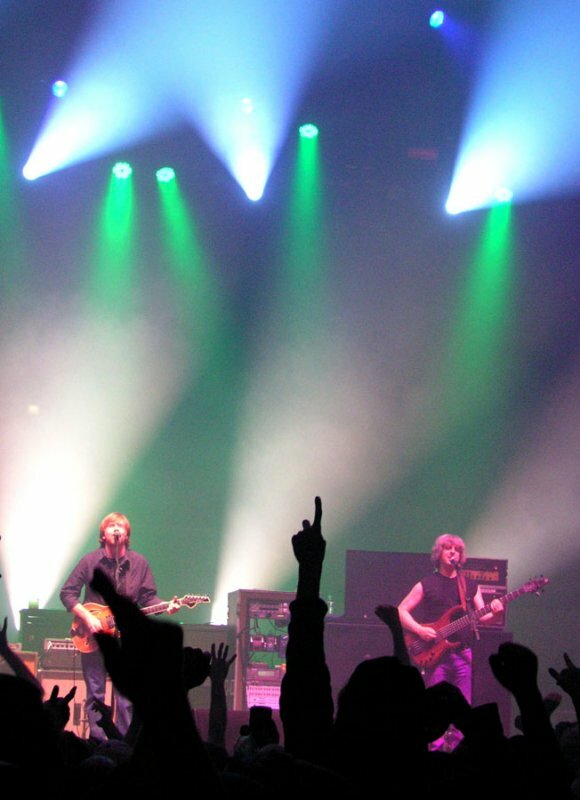 As Phish sustained the climax of the song for seconds after the last note, they collectively made the hugest drop of the weekend into the tar-thick funk of “Moma Dance.” It was virtually a joke how well this setlist was written, forcing everyone to dig deep into their reserves of energy- but no one had any trouble finding them. A song with a bit of Hampton history, this performance gave a raucous nod to 1997’s epic “Tweezer > Black-Eyed Katy.” Page absolutely tore up the clav all over this song, much like every other song over the weekend with one keyboard or another. 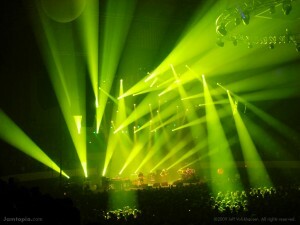 With the smoothest lounge-funk, Phish completed what was the tightest and most energetic excursion of the run. Powered by WordPress v 5.1.1. Page in 2.131 seconds.